Riparian forests are strips of forestland adjacent to streams where management practices are modified or restricted to reduce transport of pollutants to waterbodies. Retention of riparian forests is critical since these forests filter surface water runoff, link subsurface water flow with the stream channel, and store sediment and nutrients. 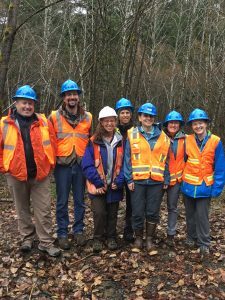 Current research in the Southeast and Pacific Northwest is focusing on understanding riparian forest composition and functions to address a central question: Can we effectively manage our riparian forests to enhance the habitat and protect water quality? Across the southeastern United States, forestry best management practices (BMPs) require retention of streamside management zones (SMZs) for water quality protection. Some conservation groups and state agencies have expressed interest in promoting harvest of pine trees from SMZs and increasing dominance of hardwood trees. By doing so, Member Companies could capture the economic value of harvested pine trees and reduce drift of pine seeds into adjacent pine stands which often necessitates management with herbicides. A current effort will assess status of timber and ecological resources within SMZs across northern Florida and experimentally evaluate effects of harvesting within SMZs on forest structure, forest composition, and other environmental factors (e.g., water flow, water depth, light, temperature, nutrient distributions, aquatic species). Results will document how SMZ forests can be managed to sustain or enhance ecological function within the local SMZ stand and downstream. 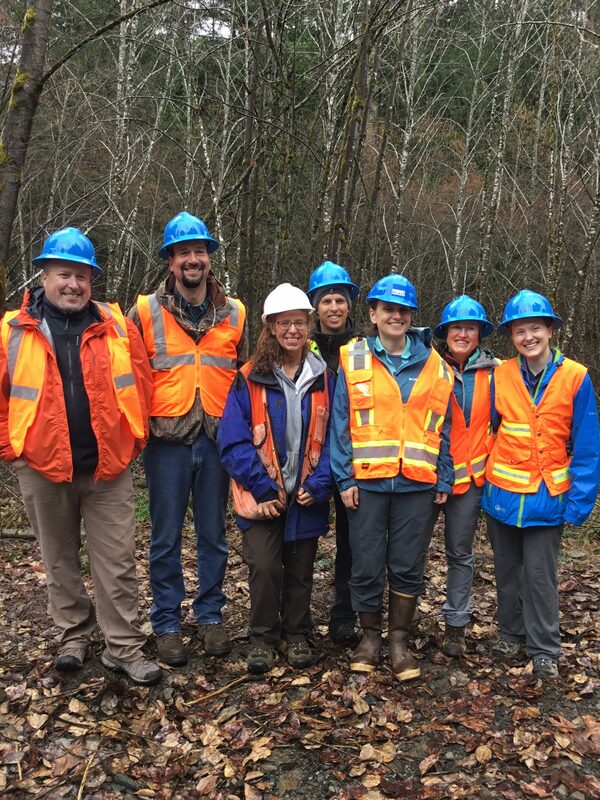 NCASI Forestry staff on riparian management field tour in Oregon. In the Pacific Northwest, state forest practices rules require retaining continuous streamside buffers along fish bearing streams to protect aquatic habitat and maintain cold-water conditions for native salmonids. Fixed-width buffers are typically applied due to ease of implementation although some states allow deviation from these standard buffers. However, uncertainty in their outcomes on regulatory standards (e.g., stream temperature) may reduce widespread implementation of alternative riparian management practices. Riparian alternatives, such as canopy gaps, thinning within riparian buffers, or variable retention buffers, may alleviate light limitation in localized sections of the stream that disproportionately contribute to in-stream primary productivity and support stream food webs. This research will evaluate effectiveness of various alternative riparian management strategies on food web responses and ecosystem function across watersheds. Ultimately, the results from this study will inform alternative riparian management strategies by providing a scientific basis for the effects of these approaches on aquatic productivity, fish, and habitat characteristics subject to regulation (e.g., temperature).